Setup invoice reminders to send automatically via SMS, Email, or both! 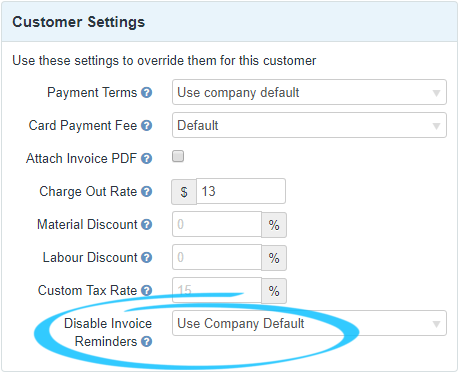 You can setup automatic invoice reminders to send either SMS, email, or both when an invoice becomes overdue. 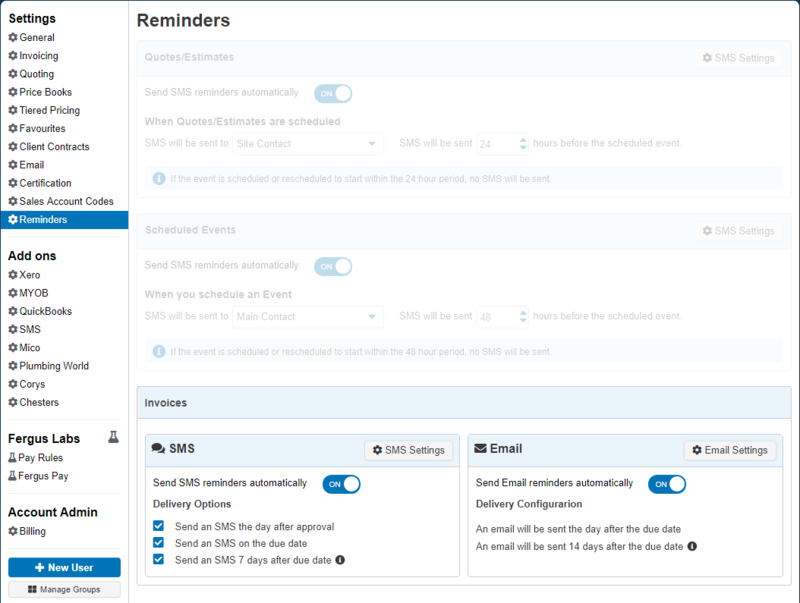 Click the SMS Settings or Email Settings buttons to edit the reminder templates. While an invoice remains unpaid, Email Reminders will be sent the day after the invoice is due then every 14 Days.